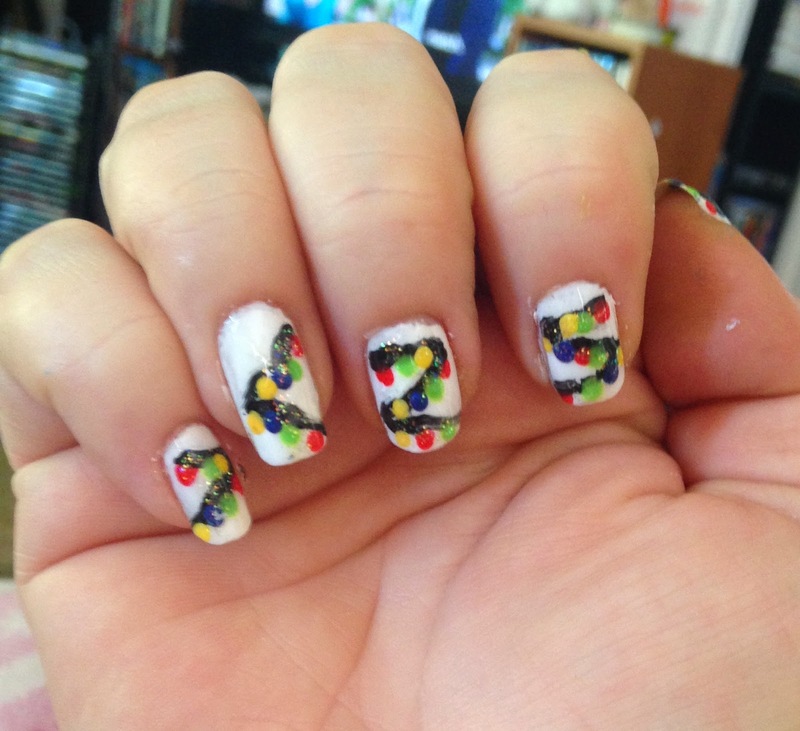 "It's beginning to look alot like Christmas" especially when you have these cute lights on your nails! 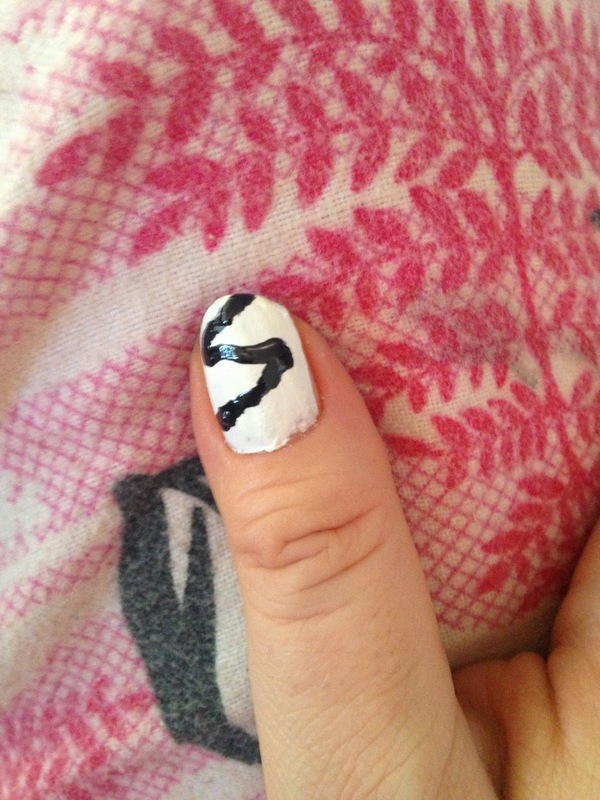 This nail design was very easy - like most of my nail designs. I like to quickly do my nails and go about my day. 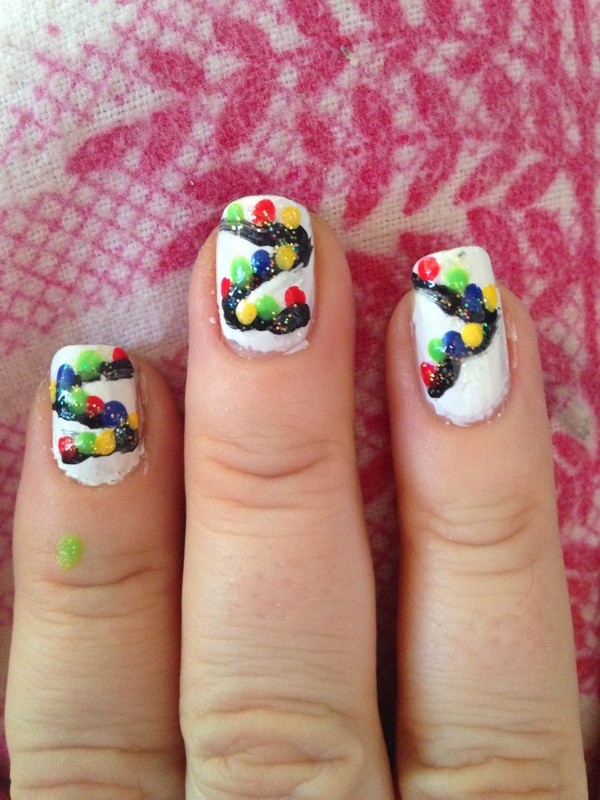 This nail design is perfect for that! It definitely gets me into the Christmas spirit. For this design you do need different colors of nail polish for the lights. You will also need a dotting tool and a nail striper, see me blog post on DIY Nail art tools. You can have the lights on all of your nails like I did or have a few accent nails. It sounds like a lot but it really is simple. Prep the nail by applying a base coat. Once dry apply a base color, I chose a white base so the colors of the lights would really POP. 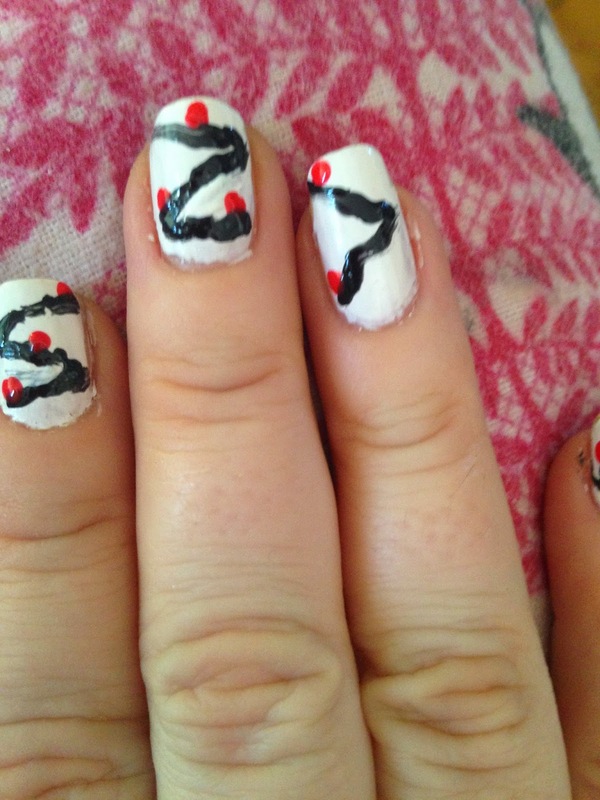 Using a dark color, make zig-zag lines across the nail. Now we will make the lights, with a dotting tool dipped into a color, place a dot under the zig-zag line. Continue with several different colors, making a string of lights. Dab a glitter nail polish onto the lights to add some sparkle. 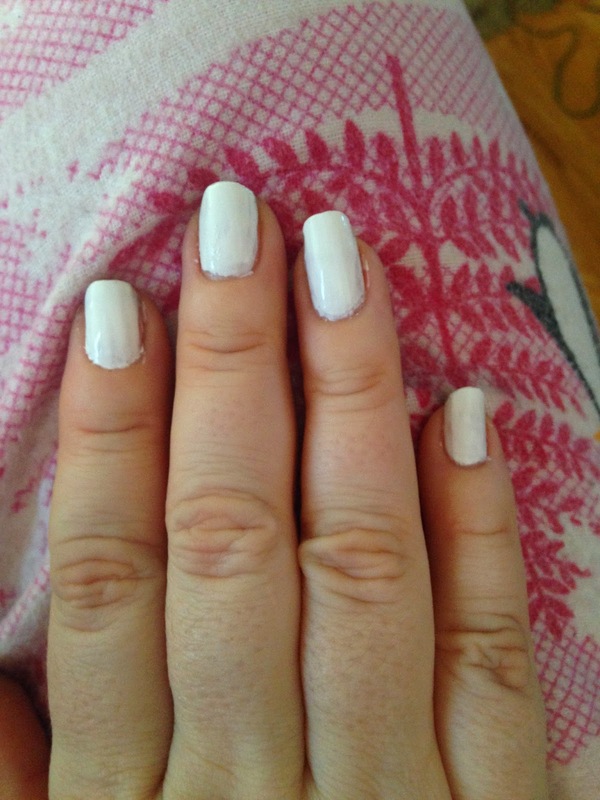 Allow the nail polish to dry a few minutes to prevent smudging and apply a generous amount of top coat. These Christmas lights are so cute!! 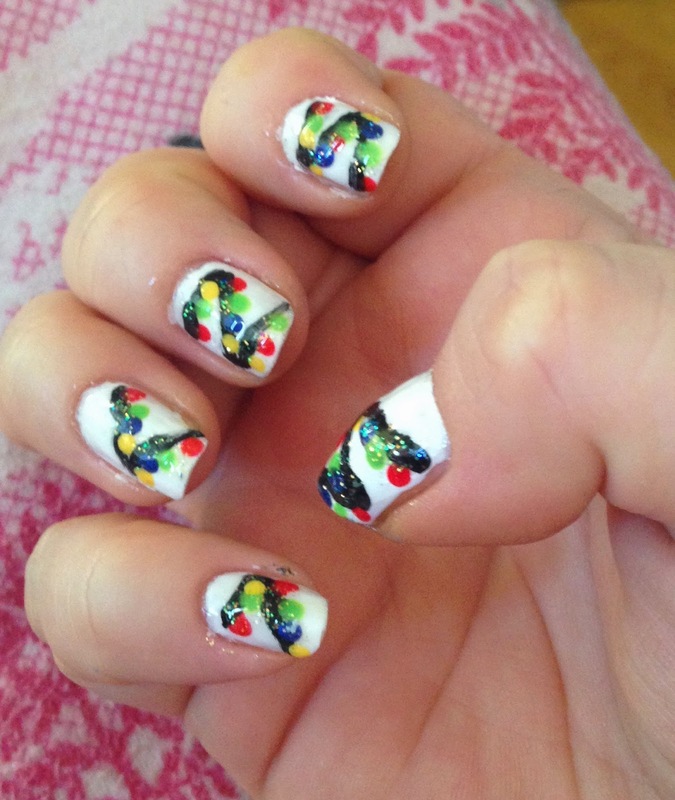 I would love to see your nail art recreations, please share with me on Instagram, Facebook or Twitter using #BU10nails.